This week I am happy to present an interview with my friend Marcela Barraza. As a mother she became concerned about the health and well being of her family and thus became passionate about non-toxic and green cleaning practices. Lucky for us she's sharing some of our knowledge with us today! You can also find tips on her blog Tu Casa. Check it out! 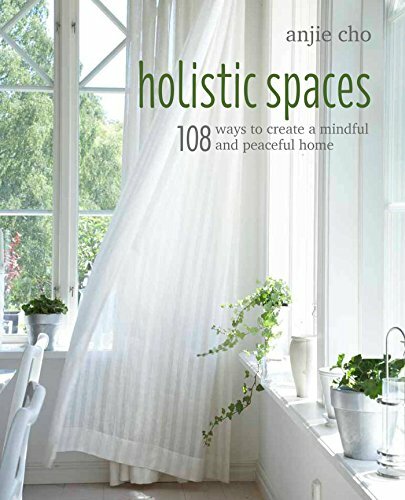 She's even featured Holistic Spaces feng shui tips alongside her green cleaning tips. AC: Tell us why it's so important to clean your home with non-toxic cleaners and why you made the change. MB: It's important to take care of the air we breathe in our homes. Studies show that indoor air might be 3 to 5 times higher in pollutants than outdoor air, leading to health issues such as asthma and headaches, just to name a couple. If you think about it, when we "clean" our homes with toxic products all that fume stays in for days and you breath that; you have your baby crawl on the floors that are covered with toxins! It really takes a few simple steps to live better in you own home. What would you said are the top three toxic items in the home that most people aren't aware of? What are some simple tips to incorporate green cleaning practices in your home? Use concentrated organic, non-toxic cleansers that you can mix at home by just adding water. You'll save money and the planet because you're using much less plastic that will eventually end up in landfills. Marcela Barraza owns MB Green Cleaning and has been in the cleaning business since 2004. Her background in Hotel Administration and working for an airline for over 9 years created a strong foundation in customer service. She's passionate about working with people, helping them to live in a healthy home. She believes we can live better in our own homes!